When we say cheesy, we’re serious. These mini loaves are not only stuffed with our blend of Mexican cheeses, but have MORE gooey cheese melted on top. (Step aside, cheeseburger). Ground pork makes the meatloaves extra-juicy, which is the perfect textural contrast to all the aforementioned cheesiness. 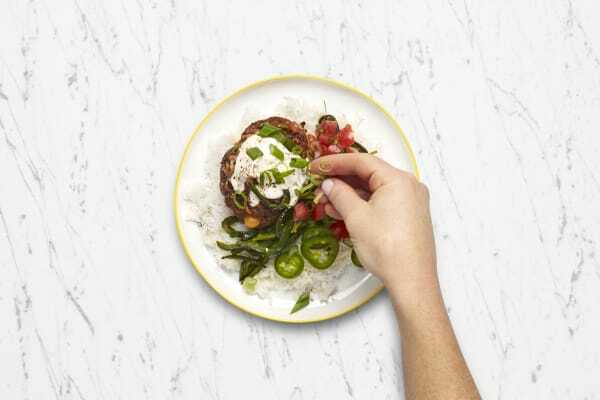 If that doesn’t grab you yet, how about piling poblano peppers, fresh tomato salsa, and lime crema on the meatloaves? Bye bye, boring! Adjust rack to middle position; preheat oven to 450 degrees. Wash and dry all produce. Trim scallions; thinly slice greens and mince whites. Thinly slice poblano. Thinly slice jalapeño, removing seeds and ribs for less heat. Zest 1 tsp zest from lime; quarter lime. 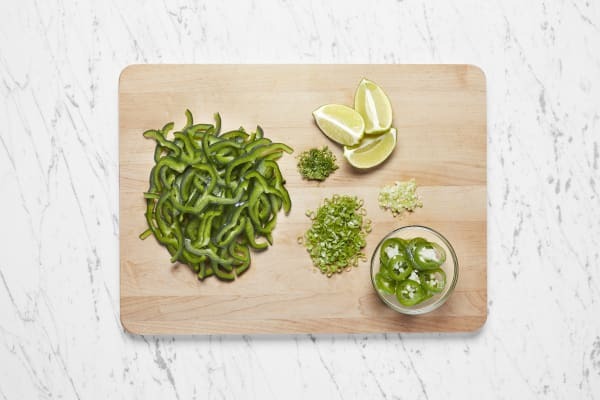 In a small bowl, combine jalapeño, 1 tsp sugar, salt, and the juice from 1 lime wedge. Place rice, ¾ cup water, and a pinch of salt in a small, lidded pot. Bring to a boil over high heat. Once boiling, cover and reduce heat to low. Cook until tender, about 15 minutes. Turn off heat; keep covered until ready to serve. 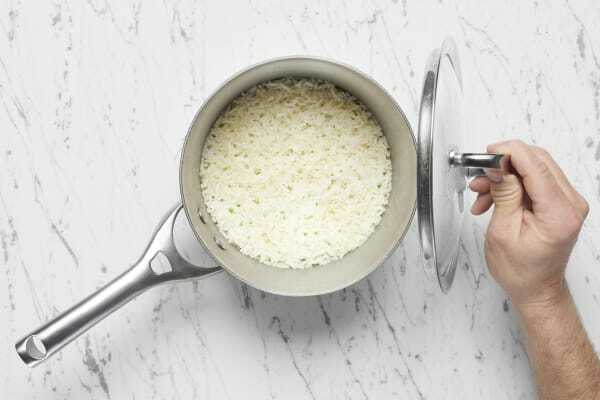 In a medium bowl, combine pork, scallion whites, Southwest Spice, ¼ cup panko (we sent more), and 1 tsp salt. Halve mixture; flatten each piece into a wide, ½-inch-thick round. Set aside half the cheese for topping. Divide remaining cheese between the center of each round. 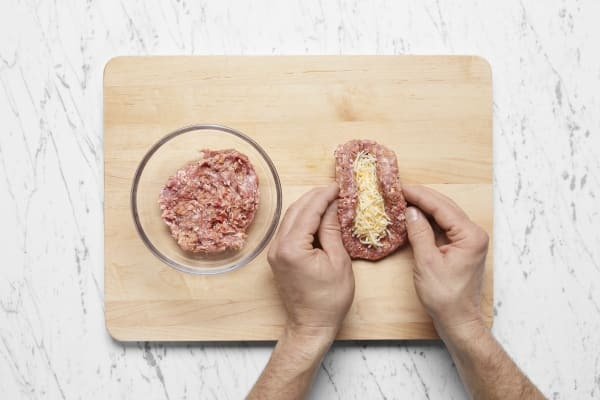 Fold edges of meat around cheese, sealing to create two 1-inch-tall loaves. Place meatloaves on one side of a lightly oiled baking sheet. Toss poblano on other side of sheet with a drizzle of olive oil and a pinch of salt and pepper. Bake on middle rack until meatloaves are just cooked through and poblano is lightly browned and tender, 15-20 minutes. 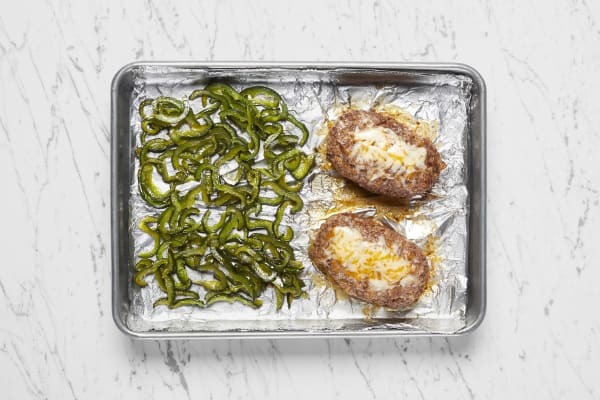 Remove baking sheet from oven and top meatloaves with remaining cheese. Return to oven and bake until cheese has melted, about 2 minutes longer. Meanwhile, finely dice tomato. In a separate small bowl, combine tomato, half the scallion greens, half the lime zest, and a squeeze of lime juice. Season generously with salt and pepper. 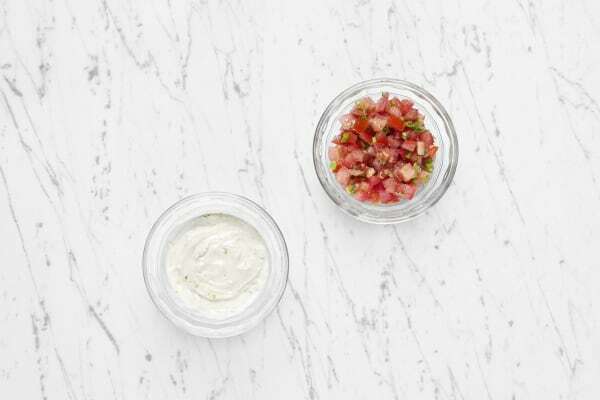 In another small bowl, combine sour cream, a squeeze of lime juice, remaining lime zest, and a pinch of salt. Fluff rice with a fork; stir in 1 TBSP butter until melted. Divide rice between plates. 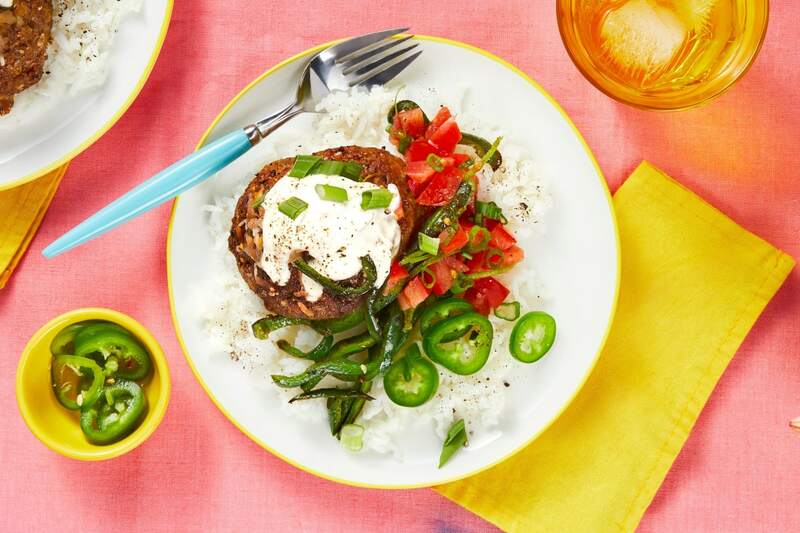 Top with meatloaves, poblano, salsa, and a dollop of lime crema. Garnish with pickled jalapeño (draining before adding) and remaining scallion greens.